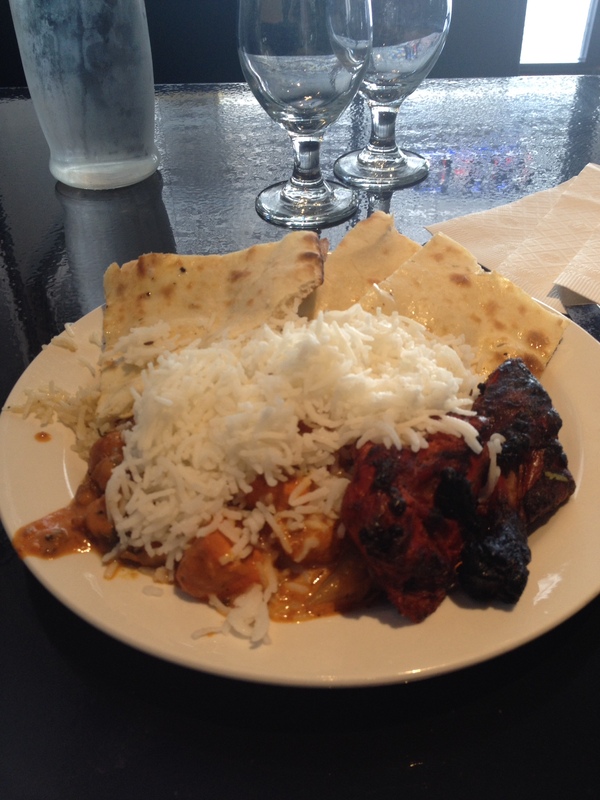 Here’s what you must know first: I really, really like Indian food. No way. I was going to stay and enjoy that lunch buffet. While I sat and enjoyed my tandoori chicken and naan, I started reading a book by one of my favorite authors: Future Perfect by Steven Johnson. Johnson perfectly fits my idea of interesting reading: his work is multi-disciplinary, makes unexpected connections, and is built around what makes ideas great and compelling. He starts off the book by telling the story of US Airways flight 1549, the “Miracle on the Hudson,” when Captain Chesley “Sully” Sullenberger managed to successfully land a damaged airplane on the Hudson river in New York with all 155 passengers safe. Though it was truly an amazing act of piloting, and “Sully” made a great hero—humble and relatively quiet, and committed to being good at his vocation—Johnson goes deeper behind the story. You see, Sullenberger (and flight 1549) was indeed a talented and composed pilot. But, as Johnson points out, there was a lot more going on here than just Sully’s grace under pressure. Actually, Sulllenberger’s actions on that morning were the culmination of decades of research and behind-the-scenes engineering, all of which enabled the pilot to make the “in the moment” decisions that saved those passengers lives. This just in: none of those engineers were being interviewed on cable news shows. Instead, decades of men and women simply went to work and thought about little ways to make flight better and safer. And then when it mattered, it all came together. Are they any less heroes? There’s an assumption that the one with the most “face time” is the hero. They are the ones who have done all the right things in order to make things happen (or make things not happen, as the case may be). These heroic mean and women—even truly humble ones like Sullenberger—are celebrated as “just-a-bit-better-than-everyone-else” people. But are those nameless engineers and manufacturers any less responsible for those 155 passengers still being alive? Sullenberger is definitely a “hero”, but he is not the only one. Little decisions and efforts get made over months and years and decades that put people like him in position to win. Sometimes people of faith get hung up on the “super disciples” around us. Whether it’s people from the Bible (like Peter, Paul, or John), or other really, really good people we’ve heard about (like Mother Theresa, or Billy Graham, or Desmond Tutu), it’s easy to get caught up in their stories, or in their charismatic personalities. Maybe, if you’re anything like me, it’s even tempting to somehow start thinking that somehow they got an “extra dose” of God’s Spirit, something that’s allowed them to do the things they did and think the thoughts they did. But it’s simply not like that. Sure Paul looms large in the Bible. But if you just read his letters you know he didn’t do it alone: that he traveled with people, and had key helpers with him as he did his ministry. Some of their names ended up in our pages (Priscilla and Aquila, Junia, Tychicus [my favorite]), but a lot of them probably didn’t. Yet they were with Paul. Helping. Doing the work when he had moved on to other cities. Some of them may have even had preliminary conversations with their communities before Paul got there, so that they would have context for what he was talking about. In other words, they help “set the table” so that Paul could succeed. But they absolutely made a difference. And they are absolutely heroes. Sometimes the person that gets the most prominent billing is not the only one responsible for the victory, or for averting a disaster. Sometimes there’s another story that is just as critical, just as important to the success as the decisions that are made in the moment. The point that I’m trying to make is that when faith becomes “big business”, and when we become exposed to all of the gifted and talented Christian teachers, preachers, writers, musicians, etc., etc., we can allow this thought to enter our head that says that somehow they are “just a little bit more” than us. They are Christians, but moreso: somehow they got that extra dose of the Spirit. That’s simply not true. Paul writes in Romans 8 that the same power that raised Jesus from the dead lives in us: the church. That means everyone has the same spirit. We may all be at different parts of our journey, and we all have different gifts, but we should never assume that the man or woman doing all the interviews is the “most gifted”, or the only hero. And this David Bowie song. This entry was posted in culture, faith and tagged discipleship, faith, Holy Spirit, spirituality. Bookmark the permalink. This might be my new favorite post.